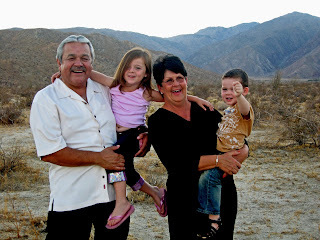 We love to visit nanny & poppy in Borrego! We can see the horses and Grandma-ma too! Nothing beats a little girl and her horse. I would lay on my horses for hours...pretty soon baby girl...pretty soon. Papa loves his horse too! He is happy with dirt and sticks and sword fights with Papa! we made a quick trip to visit everyone! We LOVE Nanny & Poppy!!!! Classic Dylan...with mimi in tow!